Coming from Palmetto Expressway (826), exit on Miller Road (S.W. 56th Street). Go east (towards the University of Miami) a few blocks and turn right on S.W. 74th Avenue (it does not go left). Drive until you see a sign that reads, “No Outlet.” Stop. The Ashram is on your left. 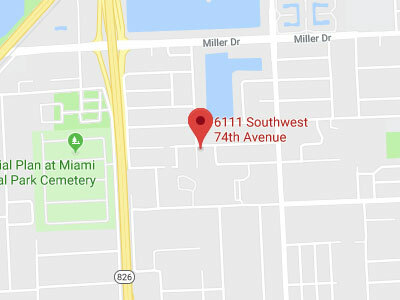 Parking is INSIDE the property at 6020 SW 74th Avenue, exactly catty-corner from the Ashram. There is a walk-through gate at the southeast corner of the property that leads you close to the Ashram entrance. From Palmetto Expressway (826), exit onto Miller Drive (SW 56th Street). Go west (away from the University of Miami). 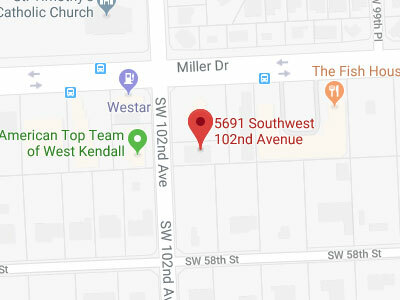 At the intersection of SW 102nd Avenue, turn left. The Yoga Research Foundation is located about 100 feet from the intersection on the left. There is parking in the front, side and back of the building.